HALF MOON BAY, Calif. — A San Francisco Bay Area billionaire needs to open an access road to a beloved beach, upholding a lower court ruling against a co-founder of a giant tech company, a California appeals court ruled. The First District Court of Appeals in San Francisco ruled 3-0 that Vinod Khosla violated state law when he bought a $32.5 million beachfront property surrounding Martins Beach, south of Half Moon Bay, and blocked the public from accessing it. The appeals court judges ordered Khosla to open the gates immediately in a ruling released Thursday. The State Lands Commission has been negotiating with Khosla, a venture capitalist who co-founded the tech company Sun Microsystems, to purchase a public right of way. California's Coastal Commission executive director, Jack Ainsworth, said he is encouraged by the ruling. 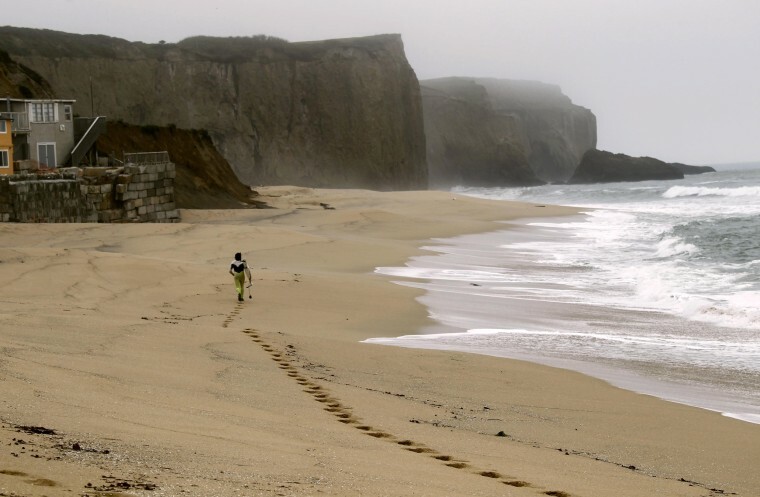 "We are hopeful that the day will come when the locks are cut off the gates and public can once again walk across the sand at Martins Beach and go for a swim at the beach," he said. Khosla's attorney, Dori Yob, did not immediately respond to email and phone messages seeking comment.